Julia Muir, Founder of the UK Automotive 30% Club brought the club’s inaugural Annual Conference to the Centre of Automotive Management, Loughborough University. The event co hosted by Professor Jim Saker, Associate Dean (Enterprise) School of Business and Economics, Loughborough University, was held on Friday 11th of November 2016. 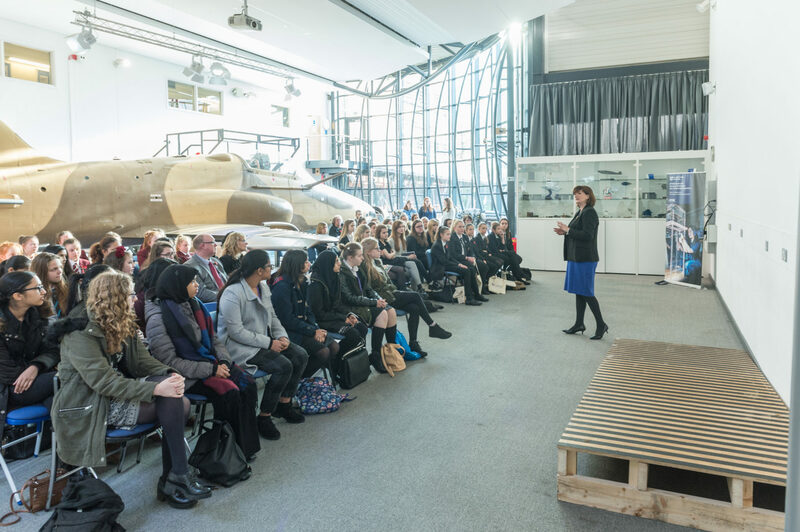 Julia took the opportunity to combine the conference with an event bringing 80 school girls to visit Loughborough’s engineering faculty and to personally meet with automotive leaders as part of a career speed networking session at the School of Business and Economics. Students studying at the University were also given the opportunity to meet with automotive manufacturers and retailers who are currently looking to recruit graduates. The Conference was opened by the Rt. Hon Nicky Morgan MP for Loughborough with an inspirational speech on “Why Closing the Gender Gap is Important for the UK.” The event powerfully demonstrated graduate recruitment programmes as one of the many career pathways for female students into the automotive industry, starting with relevant degree choice and the job roles and career routes to the top. Nicky took particular interest in this event due to her previous role in government as the Minister for Women and Equalities and her participation further highlights her commitment to the schools in her constituency, many of whom attended on the day. Further thanks go to Paul Van Der Burgh and Robin Giles from Toyota GB, Neil Williamson and Clare Martin from Jardine Motors for their very entertaining and insightful presentations. The thought-provoking gender gap data presentation by Amy Pike was very much appreciated, and gave us a clear picture of the challenging task we face.